The Esprecious by Bravilor provides a real "wow" factor. 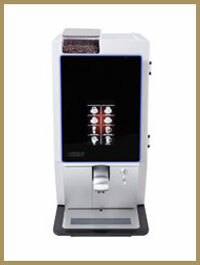 It is a compact table top bean to cup coffee machine with a touchscreen control panel. All of the drinks choices have their own image and description (that can be changed if you so wish). The drink menu, layout, strength and size are also completely programmable making the Esprecious not only ultra-modern in appearance but also exceptionally flexible in terms of the drinks it can produce. 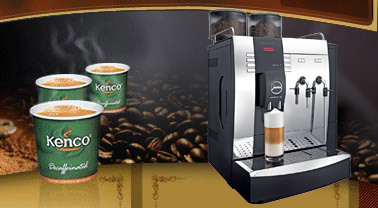 Optional extras include a chocolate canister to allow for the production of frothy hot chocolate drink and mocha as well as a split bean canister which allows for two types of coffee beans to be used, and an adjustable drinks spout that permits the use of a wide range of cup sizes. The brewer unit is steel rather than plastic resulting in a more robust and durable machine. As with most coffee machines the Esprecious does have a hot water facility but should not be used to produce large amounts of it. If you do require this facility then a hot water boiler placed alongside your machine is a better idea. Again like most systems of this type it is advisable to fit a good quality water filter in order to improve both the quality of drink produced and the long term reliability of the machine. The screen on the Esprecious will talk the user through the cleaning and maintenance processes that need to be performed making the system exceptionally easy to use. 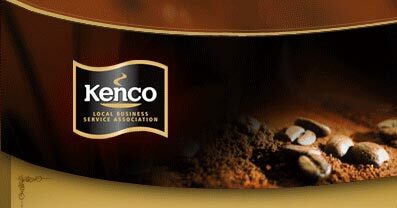 Kenco Local Business Service are a supplier of the entire range of Bravilor coffee equipment and can provide the machines as well as the installation, training and service back up that you may require. We can also supply all of the consumables that you need for use in the Esprecious including Kenco coffee beans, whitener and chocolate powder. Our warehouse near Hemel Hempstead means that we are ideally situated to supply areas such as London, High Wycombe, Slough, Reading and Maidenhead.